Make a statement with your home by installing quality stonework and masonry product. Sleek and sophisticated, our team offers a wide variety of stone that can create and mold any idea you may have. Stone veneer is a hardy product that can create a three-dimensional appearance on walls, create an elegant floor and build vertical creations inside or outside the home. Not only do we offer the best when it comes to manufactured stone, but we also give you options. 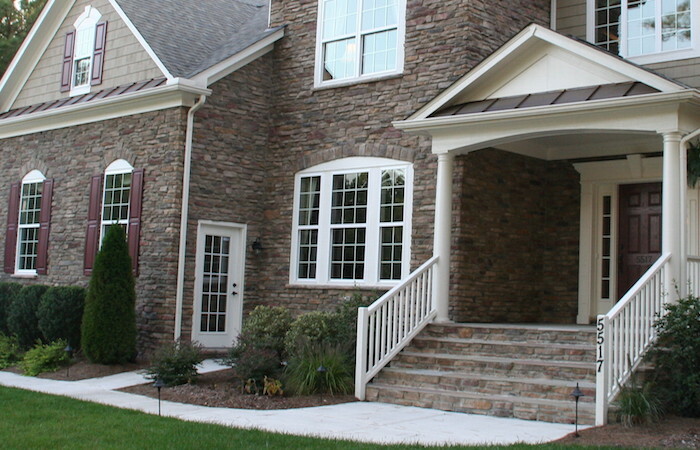 Heritage Stone gives you a wide variety of colors and style. Please take a moment to check out the many options Heritage Stone has to offer below. The colors of nature Heritage Stone's Dry Stack Collection provides you with many different styles to choose from, making it possible to customize your home with a unique look that's yours and yours alone. Rich colors, rectangular shapes Heritage Stone's Limestone Collection has 9 different styles of square, chiseled and rectangular stones that complement a variety of designs. Organic Beauty Heritage Stone's Fieldstone Collection has many styles of uniquely shaped stones that fit tightly together, giving your home a look that truly stands out. Big. Bold. Beautiful Our Natural Cut Stone Collection is a Heritage Stone original. It has natural textures with large stone surfaces and irregular cuts, mimic Old Worl Charm. Charm, warmth and authenticity That describes the look and feel of Heritage Stone's Thin Brick Collection. Most commonly seen on centuries-old European structures, every brick is crafted for style, quality and color that mimics Old World beauty. Easy. Seamless. Attractive Just like it's name... PrecisionFit installs quickly, easily and precisely. It's natural colors are love by all, along with it's character and realistic texture. Dimensional surface, jagged edges The Ledgestone Collection has the jagged edges, rough surface and rich color of real stone. Our Ledgestone styles can create different looks simply by the installation, grouted or dry stacked. Well-rounded stone Heritage Stone's River Rock Collection has smooth stones that are beautifully rounded and a perfect choice for edging, decorative accents or front facings. Stone is one of the strongest forms on the earth, and the stone creations our Arkansas team creates will stand the test of time as well. Accent a fireplace using stone, install a useful patio outdoors or even create an outdoor cooking area using stonework. Regardless of your home project, our stone will last. If you would like more informatoin on our stone, please take a moment to look over our stone veneer brochures.